The Nashville Teens were one of a brace of British acts competing for attention in the booming days of the early British Invasion and its early purely English phenomenon, the British beat boom. They were distinguished from most of the others by scoring a memorable and serious hit, "Tobacco Road." This put them on the map internationally (even getting them into an American jukebox movie, Beach Ball, that also featured the Supremes) before they gradually faded away in popularity. The sextet first got together in Weybridge, Surrey, in 1962 with Art Sharp and Ray Phillips on vocals, John Hawken on piano, Pete Shannon on bass, Michael Dunford on guitar, and Roger Groom on drums. In those days, they played basic American rock & roll with perhaps a bit more abandon even then than their competition. Dunford exited along with Groom in 1963 to be replaced by John Allen and Barry Jenkins, respectively, and a seventh member, vocalist Terry Crow, joined during the group's extended stay in Hamburg, West Germany, in 1963. (Crow and Dunford later co-founded the Plebs, who recorded for Deram Records, and Dunford subsequently became a key member of the second lineup of Renaissance). During their Hamburg engagement, the group got pegged to play as backup band to visiting American rock 'n' roll superstar Jerry Lee Lewis, which resulted in the recording of one of the great live albums of the era, Jerry Lee Lewis Live at the Star Club; they later played gigs backing Bo Diddley, and it was at one of those shows that they were spotted by Mickie Most (then still a performer). 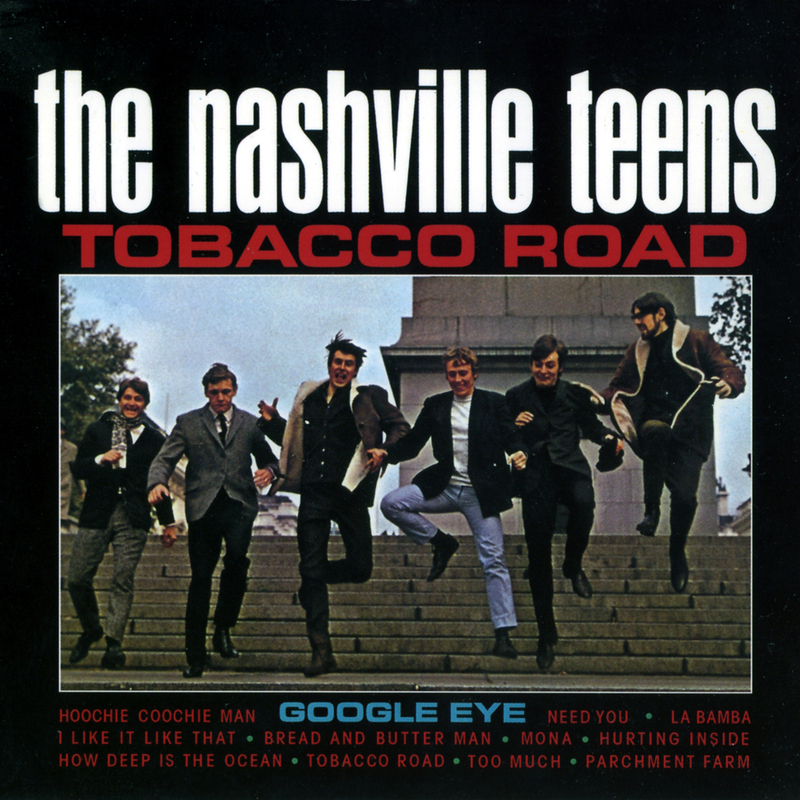 After the band was signed to English Decca in 1964, Most became their producer for their debut single, "Tobacco Road," released in the summer of 1964, which charted high on both sides of the Atlantic. 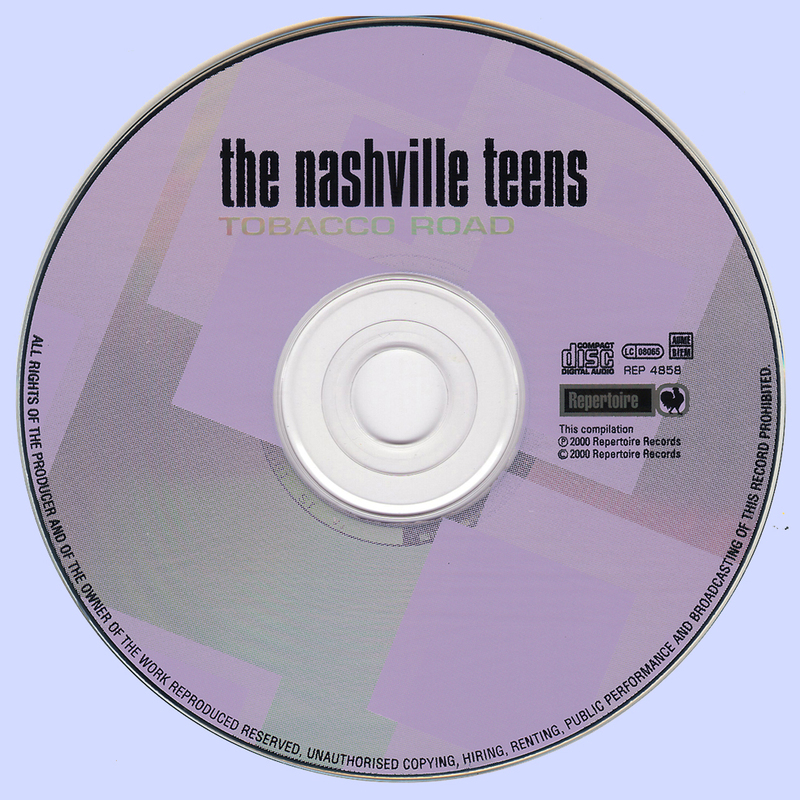 A composition by North Carolina-born songwriter John D. Loudermilk -- who was also responsible for "Sittin' in the Balcony" (Eddie Cochran's first single), "Ebony Eyes" by the Everly Brothers, and "A Rose and a Baby Ruth" by George Hamilton IV -- "Tobacco Road" was itself inspired by Erskine Caldwell's 1932 novel, which had been transformed into a hit play and a less successful movie depicting dire rural poverty among white southerners. Somehow, the English band managed to sound convincing with their pounding performance, which featured both singers prominently, a bold boogie-woogie attack on the piano by Hawken, and Allen, Shannon, and Jenkins slashing and thumping away on their respective instruments. Their follow-up song, "Google Eye," also written by Loudermilk, reached number ten in England in the fall of 1964 but wasn't noticed too much in America. The group's rock & roll credentials were as solid as that of any English band, as was demonstrated by the number of gigs that they played backing visiting American stars. What they lacked, however (apart from solid in-house songwriting talent), was one (or more) interesting personalities in their ranks that could be put before the public and a collective personality that could be defined, musically or any other way. Neither Sharp nor Phillips was as compelling or interesting a singer as, say, Denny Laine of their Decca Records rivals the Moody Blues, much less Mick Jagger, John Lennon, Paul McCartney, Eric Burdon, or Roger Daltrey. Additionally, they were musically flexible to a fault, literally, capable of playing boogie-style rock 'n' roll in the best Jerry Lee Lewis style or slightly bluesier and more folk-influenced songs, and even dabbled in doo-wop, but they never had a sound, beyond the crunching attack on "Tobacco Road," that could be identified. In this regard, they were a lot like the Downliners Sect; they loved American rock & roll, but they couldn't do more than pound away at it, and they didn't even have the Sect's offbeat eccentricity to mark them in people's memories. 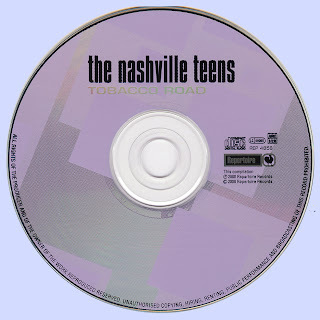 As early as 1965, more than sheer enthusiasm for the music was needed to attract listeners, and after a few minor Top 40 British entries, The Nashville Teens followed the route of acts like the Swingin' Blue Jeans and the original Moody Blues to smaller venues and less prestigious opening act spots, apart from the occasional chance to back people like Chuck Berry and Carl Perkins when they came to England. 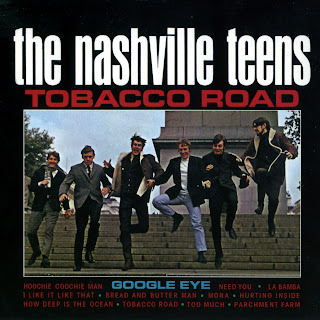 As late as 1966 and 1967, The Nashville Teens kept trying, and they came close musically to turning their fortunes around. They could do soulful rockers like "That's My Woman" and make it sound like the real article, almost as compelling as the Beatles doing "You Really Got a Hold on Me," or brisk, rousing upbeat numbers like "I'm Comin' Home" -- a piece of good-time music worthy of the Tremeloes -- but somehow they lacked that last bit of personality needed to punch through the competition and get the needed airplay to make their stuff into hits. By 1968, not even a hard, slashing cover of Bob Dylan's "All Along the Watchtower" could get them noticed. And by that time, even their name was a liability, in terms of competing with the likes of the Rolling Stones, the Who, et al., whose images had changed vastly since 1965. Barrie Jenkins exited the group in 1966 to become a member of Eric Burdon and the Animals, and his 1963 predecessor Roger Groom occupied the drummer's spot for the duration. John Hawken was part of the lineup of the original Renaissance, spun out of the psychedelic-oriented half of the Yardbirds' original membership, and later passed through the lineups of Vinegar Joe and the Strawbs. Ray Phillips kept the group going long enough into the 1970s that it was able to avail itself of the '60s nostalgia boom, appearing regularly in Europe and the U.K. Decca Records, which never really promoted The Nashville Teens (or, for that matter, any of their other rock acts, which is why they had none left apart from the Rolling Stones and the Moody Blues who handled their own affairs), issued a flawed and very poor sounding compilation LP in at the tail-end of the original group's existence, around 1970, that went out of print very quickly, and there was little else to mark their history for the next two decades apart from live shows by the current group. By the early '80s, however, they'd achieved a certain degree of respect among collectors of British invasion material, even in America where only "Tobacco Road" had ever made any impression. A version of the group was working British Invasion nostalgia shows well into the 1990s and one imagines that this will be the case as long as Ray Phillips can take the stage. And in the spring of 2000, Repertoire Records issued the definitive CD compilation of their classic work, in the best sound ever heard.